On 28 February 2013, a 600-year-old tradition was shattered: the conservative Pope Benedict XVI made a startling announcement. He would resign. Reeling from the news, the College of Cardinals rushed to Rome to congregate in the Sistine Chapel to pick his successor. Their unlikely choice? Francis, the first non-European pope in 1,200 years, a one time tango club bouncer, a passionate football fan, a man with the common touch. 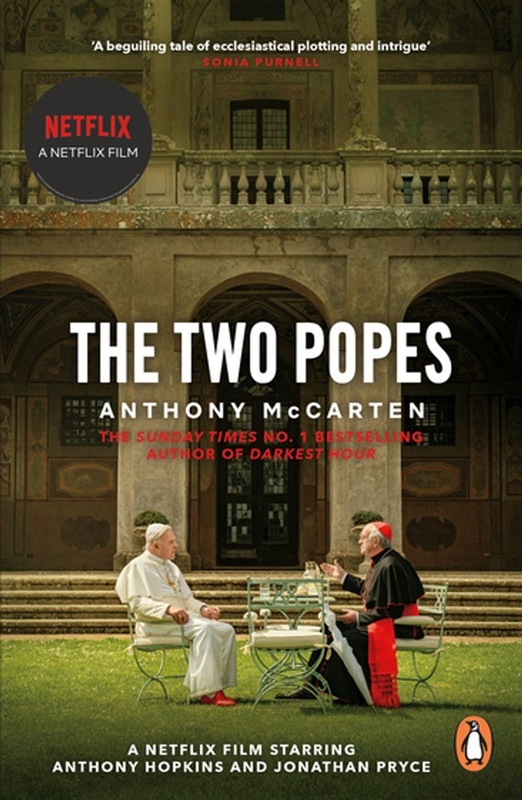 From the prize-winning screenwriter of The Theory of Everything and Darkest Hour, The Pope is a fascinating, revealing and often funny tale of two very different men whose destinies converge with each other - they both live in the Vatican - and the wider world. How did these two men become two of the most powerful people on Earth? What's it like to be the Pope? What does the future hold for the Catholic Church and its 1 billion followers? The Pope is a dual biography that masterfully combines these two popes' lives into one gripping narrative. From Benedict and Francis' experiences of war in their homelands - when they were still Joseph and Jorge - and the sexual abuse scandal that continues to rock the Church to its foundations, to the intrigue and the occasional comedy of life in the Vatican, The Pope glitters with the darker and the lighter details of life inside one of the world's most opaque but significant institutions. Acquista The Pope in Epub: dopo aver letto l’ebook The Pope di Anthony McCarten ti invitiamo a lasciarci una Recensione qui sotto: sarà utile agli utenti che non abbiano ancora letto questo libro e che vogliano avere delle opinioni altrui. L’opinione su di un libro è molto soggettiva e per questo leggere eventuali recensioni negative non ci dovrà frenare dall’acquisto, anzi dovrà spingerci ad acquistare il libro in fretta per poter dire la nostra ed eventualmente smentire quanto commentato da altri, contribuendo ad arricchire più possibile i commenti e dare sempre più spunti di confronto al pubblico online.